One of the most common problems I encounter with new want-to-be investors is a lack of focus or what is sometimes referred to as “shiny object syndrome.” Last month they were looking at small single-family homes, two weeks ago it was storage units, last week it was mobile home parks, and today it is multifamily. If you check back in on this aspiring real estate investor a year from now it might be short-term rentals they are looking in to, but they still haven’t completed a single transaction. Why is that? Finding good deals and succeeding in real estate is simple, but not easy. Everyone can follow the logic of “Buy Low, Sell High” and “Rent > Expenses = Profit” it IS simple. Not everyone understands what it takes to learn the market, understand rehab costs, develop relationships with agents, contractors, property management, etc. because it IS NOT easy. If we continuously jump from one strategy to the other, from this niche to that niche, we fail to fully develop the skills and relationships necessary to invest successfully in real estate. In other words, we need to focus on one piece of the puzzle, where it goes and how it connects to the other pieces before we move on to the next. How do we know what piece of the puzzle to start with? What type of deals are right for us? Finding the right deal can be very time consuming, especially for new investors. There are sooo many properties out there. Last month on my blog I posted, How to Analyze a Deal, I explained how I crunch the numbers on an investment property and made a copy of my deal analyzer spreadsheet available for download. How to analyze a deal is only half of the answer. More importantly, how do we know what properties we should even put into the deal analyzer spreadsheet? What is Investor Identity? Simply put, Investor Identity helps to identify what kind of investor we are, what types of assets we invest in and how we invest in those assets. It acts as a filter to remove a lot of the JUNK in the marketplace before it even gets to your desk to be analyzed. Once you have established your Investor Identity, you will know exactly where to focus! Below you will find a guide I have created to help walk you down the path to your Investor Identity. Ask yourself these questions and take note of your answers. Remember: Your Investor Identity can and will change over time as you increase your knowledge, mindset, level of resources and level of resourcefulness. What type of asset class do you want to invest in? Because you are still reading I will assume there is at least a chance your answer is real estate and not stocks or bonds. Do you prefer active or passive investing? Active or passive investing can be applied to any of the strategies listed below. Typically, the less capital you have to invest the more active you will have to be and the more capital you have the less active you will have to be. This is not always the case, knowledge or experience can be substituted for capital. What type of real estate investing are you considering or what is your real estate strategy? Example: Wholesaling, wholetailing, fix & flip, buy & hold, buy rehab rent, etc. What market do you want to invest in? This is the actual location where you want to invest. It can be as broadly defined as State, City or as specific as State, City, Street, Neighborhood. What type of real estate do you want to invest in? How many units? How many bedrooms/bathrooms? What is the square feet, lot size? Is there a pool? No pool? How much does the property rent for? What is the After-Repair Value (ARV) range? What would it sell for on the open market in good condition? How much rehab are you willing to do? What’s the dollar amount for rehab? How will you fund your deals? Cash, bank loan, private money lenders, joint venture partners, owner finance, etc. *David’s note* HERE is an article I wrote on financing deals! Your list of questions can, and probably should, be longer and more in-depth but at least this can help get you pointed in the right direction. How do we use these questions to reduce the time we spend analyzing deals and help us focus? If our Investor Identity says we are single family home investors and we see a really cool mobile home park for sale, what do we do? Pass on it, it doesn’t fit our Investor Identity. If we are multifamily investors in Shreveport, Louisiana and we see a great deal on a 10 unit in Dallas, Texas, what do we do? We pass again. What about if our Investor Identity says we buy properties in the price range of $100K-$150K and we see a deal listed for $175K but meets our Investor Identity with all our other requirements? In this case I believe we should at least run the numbers and take a look at it. The deal is close to our standards and price is always negotiable. Remember: Real estate investing is an art as well as a science and some flexibility is required! Here is a little BONUS if you do the work to find your Investor Identity. Established in 2014, the Monroe family set out to acquire safe & affordable rentals for our tenants and secured investment opportunities for our partners. We offer investment opportunities, consulting services and an extensive network of professional referrals. With 8 years of experience, we offer valuable solutions to real estate problems. Our major market is Shreveport and Bossier City, Louisiana. We specialize in buying distressed homes, rehabbing and renting multifamily properties. After the purchase of our first property we built an in-depth understanding of contracting, construction and renovations by doing most of the work ourselves. We quickly picked up a few more deals and built confidence in our numbers and systems to meet our investment goals. We are now able to share these investment opportunities with our network. We’ve been married for 10 years and have three little bears as well. 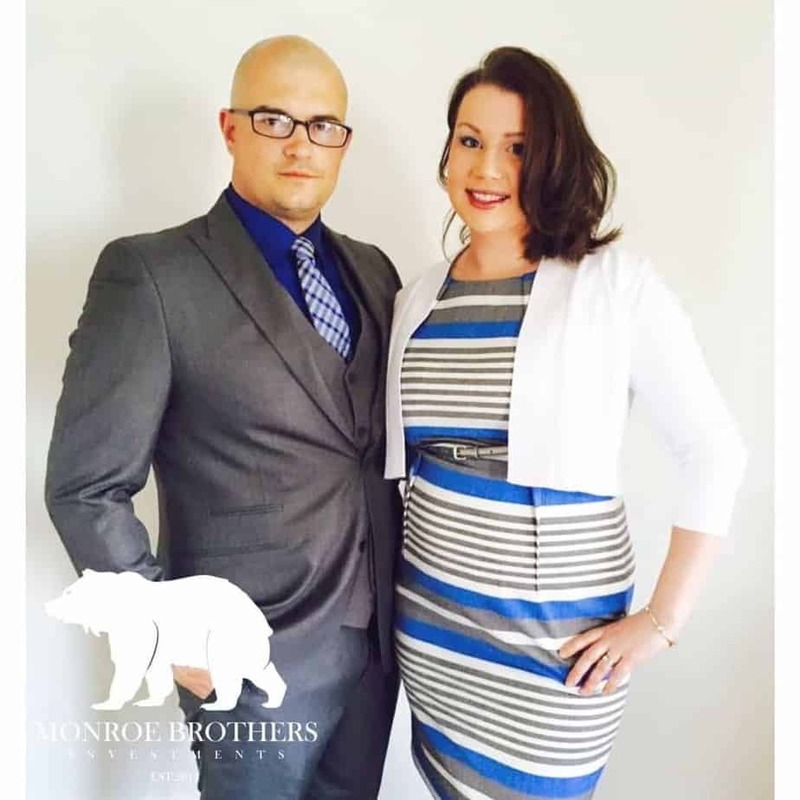 Visit us at TheMonroeBros.com or Monroe Brothers Investment on Facebook, Instagram and Twitter! If you have questions about finding your Investor Identity or real estate investing please reach out to me. I can be contacted through email at [email protected], at my website TheMonroeBros.com, or on Facebook at Monroe Brothers Investments. I hope you got as much out of this article as I did! I had “shiny object syndrome” my first year of real estate investing, and this is a lesson I had to learn the hard way! Thank you so much for taking the time to share with our readers, I’m sure they will get a lot out of this article! We are so proud of all you’re doing & so grateful for the knowledge you are brining us & sharing with those around you! Thanks for the opportunity Dave, I’m proud of you and JD! Thank you so much! I really appreciate that. I’m glad we are gaining traction…we are all going to change lives! Thank you for the awesome contribution!